I debuted this concept at Operation Sports before last season, and it’s time to bring it to DIMER. These cornerstone rankings are based on a combination of past NBA 2K League history, personal marketing and other such intangibles. While offseason NBA 2K19 history will be taken into account, it won’t have a great impact on these rankings since they are league-centric. This time around, I’m expanding the list to six players, because there are six players on a roster and in doing so in the regular season a nice round number of 120 players will be left off. Next in line: oFab, CLTX Gaming; LetsGetItRamo, Pacers Gaming; Hood, T-Wolves Gaming; DatBoyShotz, Hawks Talon GC. The one man of the one man army. Hotshot makes the list for some clear reasons. Heat Check Gaming’s former first-round pick was the best shot-creating slasher in the league in season one and took the Heat to the inaugural NBA 2K League Finals. Hotshot was one of five MVP candidates in season one, ranking third in the league with 29 points per game. Moreover, Hotshot is marketable, and with the Heat winning the early battle for Florida supremacy over Magic Gaming, Hotshot has the whole state of Florida to play for. 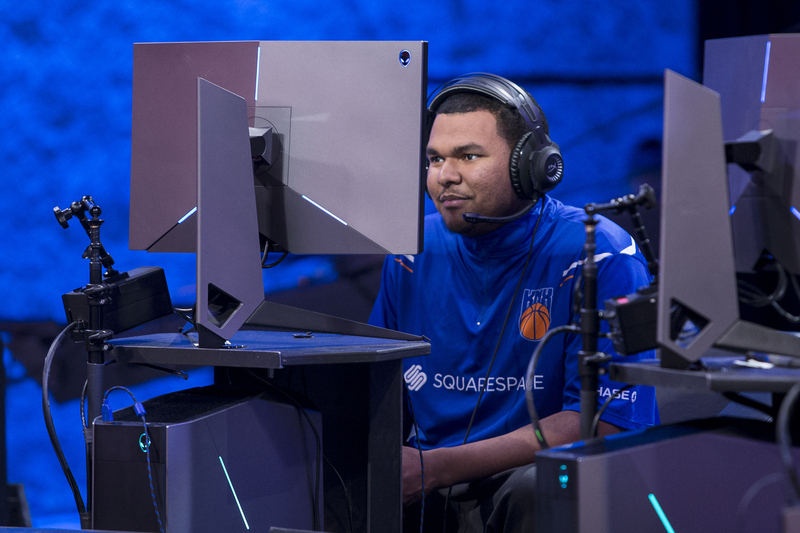 Goofy is riding high, almost Hollywood high, after helping to lead Knicks Gaming to the first-ever NBA 2K League championship. New York’s first-round pick is outspoken and talented enough to grace the New York limelight, and he’s demanding no less than a repeat title in season two. With championship comes sponsorship, and even with the addition of Nets GC to the league, Knicks Gaming is still king of the Big Apple and has everything shiny that goes with that crown. Moreover, Goofy has cemented himself as arguably the best center in NBA 2K19 Pro-Am, a personal title that he no doubt hopes follows him to season two. Everything in Dallas is new, from GM to head coach, but Dimez is the lone holdover from season one, the Archimedean place on which Mavs Gaming stands and places its hopes. The former first overall pick undeniably struggled in season one despite finishing tied for the league lead in steals and in the top five for points and assists per game. But he’s resurgent after an offseason spent playing with Breakout, and he’ll have five new teammates with whom to make a run at the playoffs for the first time in franchise history. The name Dimez still holds mainstream weight, and playoffs or no playoffs he’s still the most marketable player in the league—for now. The challenger to the league’s marketability crown is Knicks Gaming point guard iamadamthe1st, already an accomplished content creator in his own right. A two-time guest on the NBA 2K League’s flagship Twitch show, The Post Up, iamadamthe1st has a vision beyond the the league and outside of the studio. But don’t let the image fool you: Adam has shown himself to be a skilled player. After early season struggles, the Knicks’ fourth-round pick led his team to the playoffs with an otherworldly Ticket tournament performance and helped the team to the title with 27.8 points and 10.8 assists per game in the playoffs. Offseason Pro-Am or not, the Knicks will be fine if that version of Adam returns. A backboard may be all that separates the league MVP/DPOY from the top spot and a championship. Walnut was the best player on the best team in the league’s regular season last year, leading all players in both rebounds and blocks per game. Walnut has already made an appearance on The Post Up, and figures to be one of the most heavily promoted players in season two. But he and team captain MamaImDatMan have their sights set on more than individual accolades and marketability: Blazer5 wants a title this time around, backboard be damned. One of the quietest players in the league makes the most noise on this list. How could he not? NateKahl was named Finals MVP and appeared on SportsCenter after defending his way to a championship with Knicks Gaming. No other player has that claim to fame. Adding to the intrigue is Nate’s new situation. Whereas with the Knicks he could never be known as the team leader (or even among their top two leaders), Nets GC made him their first expansion draft selection in order to be just that. Nate now has the task of building a culture in Brooklyn while trying to take the Nets to the championship, just as he did for their Manhattan rivals.